BEIJING — An outspoken former detainee in China's internment camps for Muslims said Thursday his application for a visa to visit the United States was rejected despite an invitation to speak at Congress about his ordeal. Kazakh national Omir Bekali was asked to travel to Washington in September by the chairs of the Congressional-Executive Committee on China. He said his application was rejected by the U.S. Consulate in Istanbul on Oct. 2 after he was questioned about his employment status. 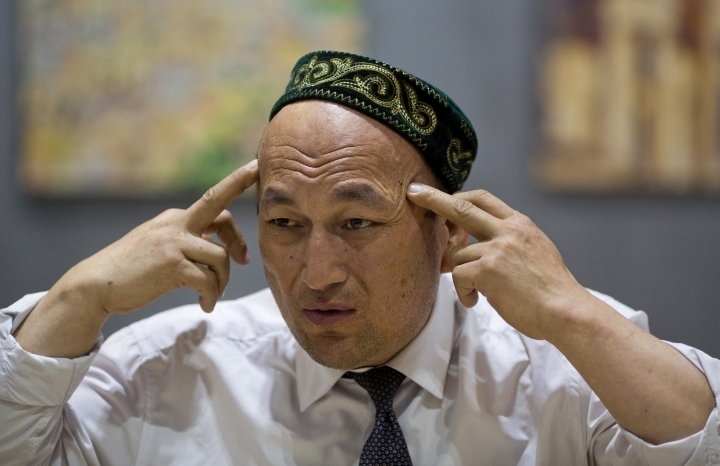 Bekali was one of the first people to speak out publicly about his experience in a camp in China's Xinjiang region, where an estimated 1 million Muslims, mostly from the Uighur and Kazakh ethnicities, are being detained. "They kept going back and forth. Why did they invite me and then reject my visa?" Bekali said by phone from Turkey. "I've received so many threats after speaking out, I feel like they should be able to do at least this simple request." Commission spokesman Scott Flipse confirmed the invitation and said the co-chairs had written to Bekali offering to assist him in seeking a visa. Flipse referred further questions about Bekali's visa status to the State Department, which handles consular issues. The department declined to comment on Bekali's case, saying U.S. immigration law prohibits it from discussing individual visa applications. "We continue to urge China to reverse its counterproductive policies that conflate terrorism with peaceful religious and political expression, and to release all those arbitrarily detained in these camps," the department said in a statement. Bekali wants to take his family to Europe or the United States, where he feels they will be safe from China's reach. 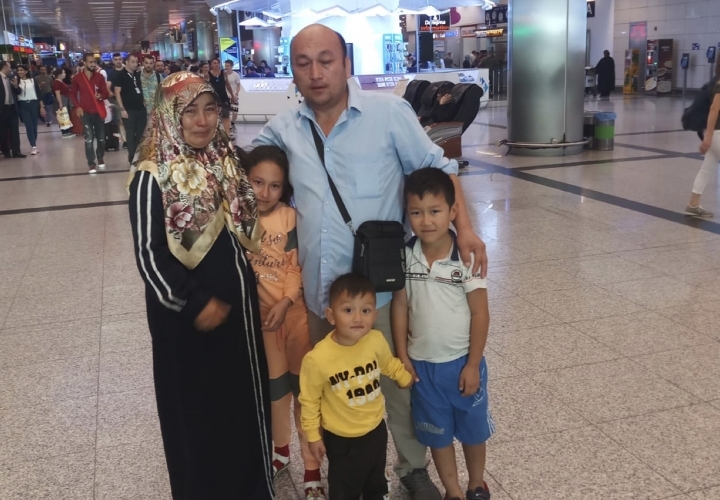 Last month, his wife and child were held up at a Turkish airport for more than three days and were nearly put on a flight back to Kazakhstan. He had fled Almaty earlier after he was interrogated by Kazakh police, who he said showed up at his home shortly after he spoke out about the camps. Kazakh authorities did not respond to a request for comment. Bekali said that even though he's been reunited with his family in Turkey, he won't feel safe until his family moves to a country that can stand up to Beijing's influence, underscoring the deep anxiety that grips the diaspora of Muslims who once lived in Xinjiang under an intense security crackdown. "I'm scared China will find some way to hurt me or threaten me," Bekali said. "Every day I have nightmares, I can't sleep at night." China has come under increasing pressure from Western governments about its mass internment of Muslims. The commission, a bipartisan group of U.S. lawmakers, has proposed legislation that would urge Trump to condemn "gross violations" of human rights in Xinjiang. Bekali is named in the proposed legislation as among those who have testified to the indoctrination, humiliation and indefinite detention of internees. "In China, the government is engaged in the persecution of religious and ethnic minorities that is straight out of George Orwell," outgoing U.S. Ambassador to the United Nations Nikki Haley said in a speech on Monday. "It is the largest internment of civilians in the world today." China on Tuesday characterized its mass internment of Muslims as a push to bring into the "modern, civilized" world a destitute people who are easily led astray. China's resistance to Western pressure over the camps highlights its growing confidence under President Xi Jinping, who has offered Beijing's authoritarian system as a model for other countries. The Muslim world has remained largely silent, a likely reflection of China's growing economic and political clout. In Kazakhstan, Chinese-Kazakh activists say they have been repeatedly warned by government officials not to hold news conferences featuring relatives of people detained in Xinjiang. Beijing has invested heavily in the central Asian nation and made it a key part of its "Belt and Road" trade and infrastructure initiative. Even Turkey, once a critic of China's Xinjiang policies, has fallen silent. Many of the thousands of Uighur exiles in Turkey worry about warming ties between Beijing and Ankara, with Turkish Foreign Minister Mevlut Cavusoglu telling reporters in August that Turkey would not allow any "anti-China activity." "China's economic power is so strong, and only getting stronger. Everyone's scared of the pressure China can exert on them," Bekali said. "I've lost faith in other countries." Associated Press writer Varya Kudryavtseva in Moscow contributed to this report.